What does plugin this do? This plugin takes a Rightmove formatted .blm file and associated images files that you place on your server and converts it into a .xml file for onward processing (normally via the plugin WP All Import Pro ). 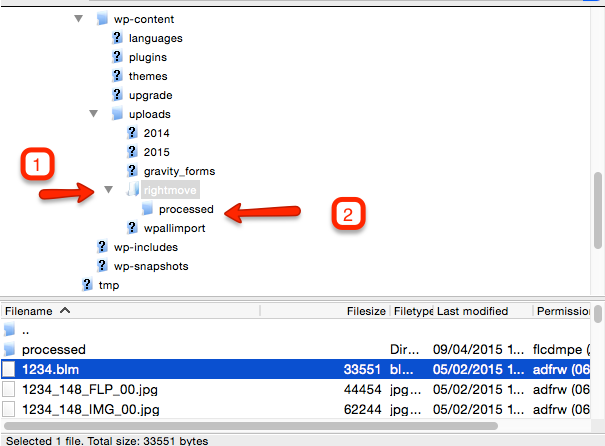 The process runs automatically under wp-cron (see https://developer.wordpress.org/plugins/cron/ ) at the specified frequency and if the files are in place when the process runs it will process the files. Install the plugin in the normal way as plugin. Plugins > add Plugin > Upload and upload the rightmove-feed.zip, then activate the plugin. There are not very many settings. 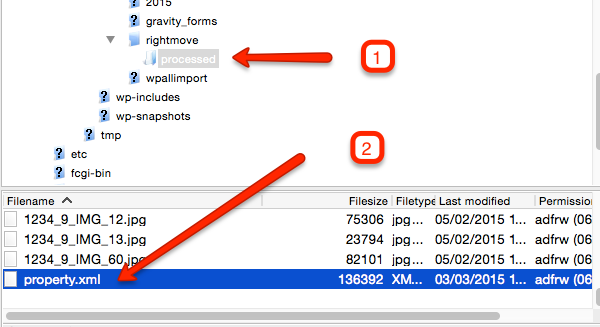 However, you may want to set up your XML import process in WP All Import Pro first as you will need the trigger URL. 3. Wait time is the time to wait after the file has first been seen. This is because a copy of all the images to your server may take a long time, so it is best to wait a while before processing. 4. If you want to trigger an import via All Import Pro then you should enter the trigger url from your All Import Pro import cron scheduling page. The plugin will have created a directory in your wp-content/uploads directory (assuming your permissions are correct). Arrange for your .blm files and your associated image files to be transferred into the top level directory. Important Note: You need to ensure that all images associated with the blm file are on the local service in the rightmove directory. If they are not, conversion will stop and not create an xml file. The purpose of the ‘wait’ parameter is ensure that there is a long enough time that all your images are copied onto the server, just in case the blm file arrives right at a scheduled time and all the images are still being ftp’d. Set the time to the longest copy time plus more. 2. processed directory is where the files go to after the xml file is created. This enables you to copy the files back to ‘rightmove’ if for some reason you need to re-run the job. Once the job has run the xml file is created as property.xml within the ‘processed’ directory. Whilst the plugin is designed to run automatically, during development it may be convenient to request a manual run. The plugin doesn’t have this option, but this can easily be achieved by the WP Crontrol plugin (see https://wordpress.org/plugins/wp-crontrol/ ) and requesting the ‘process_rightmove_hook’ is ‘Run Now’.